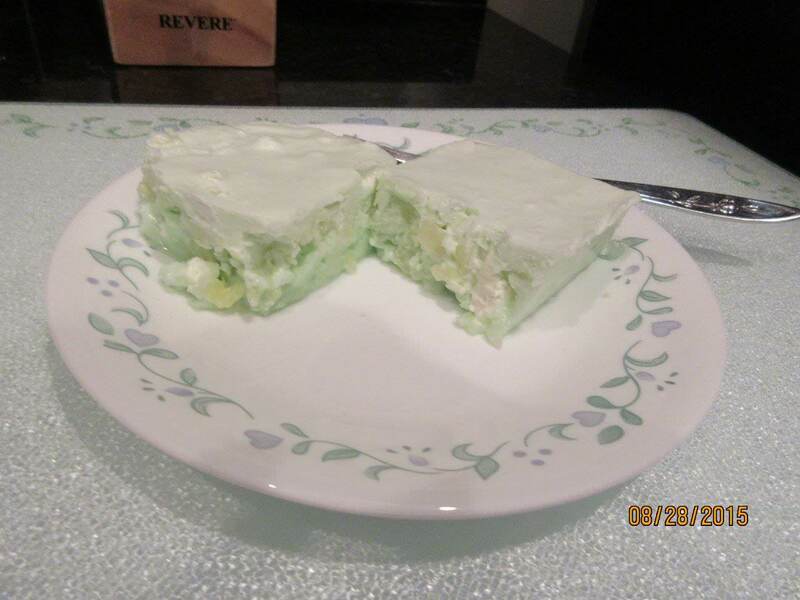 Here’s a light dessert suitable for hot summer days. It is quite easy to make and is a cool way to finish a meal during a warm, muggy day. Dissolve Jello, gelatin, and sugar in boiling water. Refrigerate until slightly gelled. Caution, it will thicken quickly. Mix crushed pineapple with juice and diced apples. Acid in the pineapple will prevent apples from turning brown. 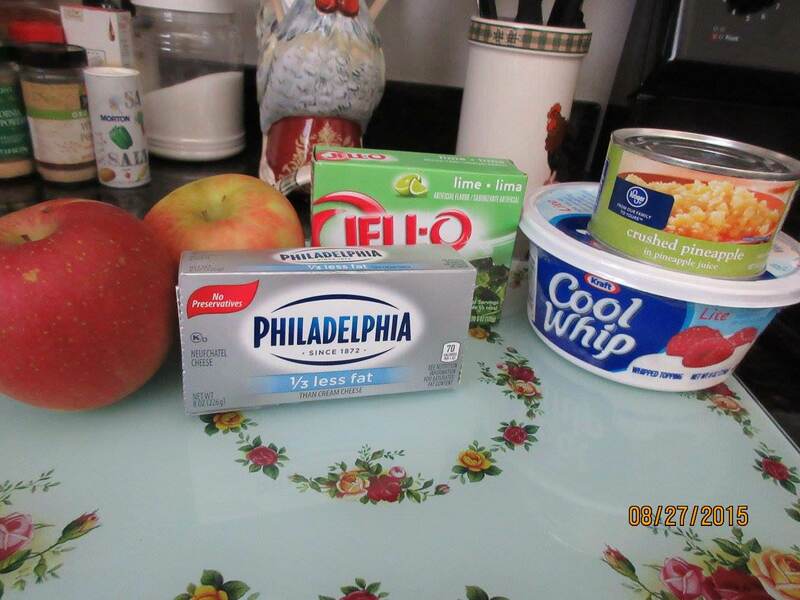 Combine softened cream cheese and Cool Whip. Add to apple mixture and fold into Jello mixture. Pour into large bowl or 9″ x 13″ pan. Refrigerate overnight.